Sleep paralysis or SP is one of the most terrifying experiences a person could have; it is so terrifying that in some places it is considered witchcraft (true story). For those who don’t know, sleep paralysis refers to the inability to move one’s body or to speak while being conscious. It can make a person fear sleep, more so because it can trigger nightmares. There is good news, though; you can stop fearing sleep paralysis with the knowledge of the following facts about sleep paralysis, like how to deal with or control it! For those of you fascinated with the subject, here are some facts you need to know about sleep paralysis. As if the feeling of helplessness was not scary enough, sleep paralysis can also incorporate terrifying hallucinations! People who have experienced this say it feels like a terrifying entity is in the room and it is coming towards them. And let’s not forget that they have to look at this scary sight while not being able to move. "Think of the most heinous demon ever seen" says Mark SK, a 27-year-old storekeeper in Texas, "and then multiply it by a million." The hallucinations happen when the victim is panicking; the brain creates these images to validate the panic because it makes no sense to the brain that one should be scared for no reason. 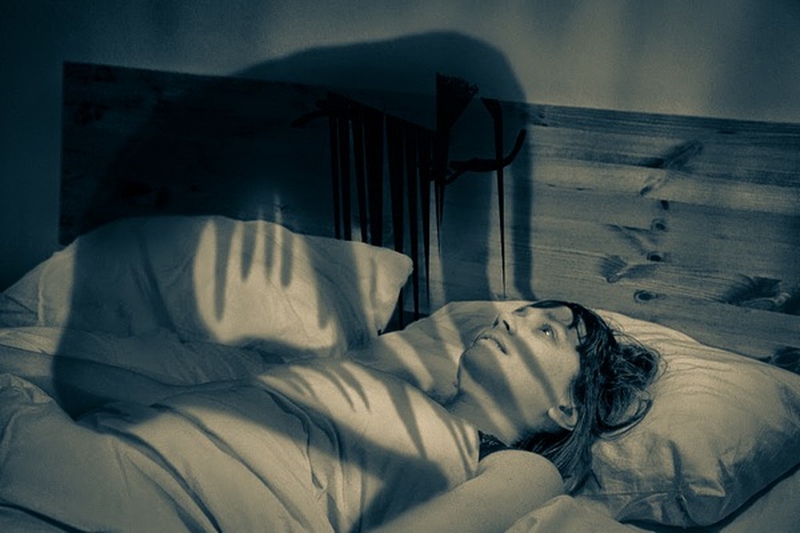 Usually, a sleep paralysis episode lasts from anytime within a few seconds to a few minutes, but there are these cases where it could be longer. The good news is that SP isn’t known to be harmful, nor is it recorded that it has killed anyone. So despite the amount of time it takes, it will end when the time comes with no lasting damage done. Except maybe permanent psychological scarring! Now this is one of those sleep paralysis facts which may trouble you. So, if it happens to you, does it mean you have a mental issue? In a way, the answer is yes. But then again, even stress is a mental issue and we all get stressed some time or the other, right? If someone experiences SP, one should look for a way to destress as soon as possible, because, unfortunately, stress is a vital trigger. Experts say that the best way of relaxing is to take slow deep breaths just before you go to sleep. Narcolepsy has been defined as the inability of the brain to regulate sleep patterns regularly. Experts say that several sleep paralysis episodes could indicate that the brain is beginning to lose its ability to regulate these patterns. Wow, scary, right? Other medical conditions associated with sleep paralysis are bipolar disorder (the inability to regulate moods causing one to switch emotions within seconds) and acute stress disorder. If you have ever had sleep paralysis, visit a neurologist (just in case) and get checked for any potential serious issues. An out of body experience is a sensation of floating outside of one’s body and being able to observe oneself from a distance. This is one of the more scary sleep paralysis facts because an out of body experience, even though not scary on its own, has been the topic of many heated discussions saying that it is easy to pass to the “land of the dead” when in that state. This should bring a bit of relief to women as they don’t have to worry much about SP. On an average, people do not experience this more than twice in their lifetimes. But in the case of men, perhaps because they are generally more stressed, they experience it a bit more often. In some extreme cases, one could have weekly episodes. As earlier stated, the need to destress becomes paramount as it would easily reduce the occurrence of these episodes. Sadly, there is nothing one can do when one of these episodes occur. As of thirty years ago, this wasn’t even considered one of the valid sleep paralysis facts because schools of thought maintained that there must be a way to "snap" out of an episode. Recent studies, however, suggest that this phenomenon, due to its relative harmless nature, is best allowed to start and finish without any physical involvement on the part of the victim. Although the most probable cause of sleep paralysis remains a disrupted sleep cycle, newer researches say there may be genetic factors involved in the phenomenon. One specific research, however, involved a large group of about 800 twins and siblings. They were asked whether or not they had experienced sleep paralysis, and yeah, related people had greater number of experiences than those who weren’t related to each other. But since nothing conclusive could be drawn from the research, it is still one of those unproven sleep paralysis facts.